Public transport remains one of Kampala Capital City Authority’s (KCCA) biggest challenges, with congestion, noise and sound pollution being the order of the day. Previous attempts to address transport challenges through various proposals have hit a dead end. Now, the authority seems to have got a solution. It is in advanced stages of introducing an ordinance to streamline public transport and maintenance of public roads as the authority moves to decongest the city. 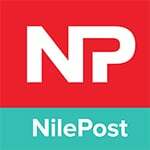 Kampala Lord Mayor Erias Lukwago told The Nile Post that lack of an ordinance to regulate the transport sector has left the authority working back and forth. “It [disorganisation] has only helped to create more chaos in the industry, with unregulated movement, parking of vehicles and motorcycles,” he said. The ordinance seeks to correct this state of affairs. He also said that the authority needs wants money to build the proposed satellite markets as a way of organizing the city. KCCA is also stuck with multiple pieces of land that are meant to host the proposed markets. The authority now wants government to commit resources towards the same, since this will also help in addressing the problem of street vendors and un-gazetted markets.